Canada scores a 3. Right in the middle of the pack. Globe and Mail: Cutting Home Economics? And as the title of the article so aptly says, "that is out to lunch." While I am of a different breed of Professional Home Economists/Human Ecologists, it is sad to see such basic needs, particularly cooking, be cut from schools. 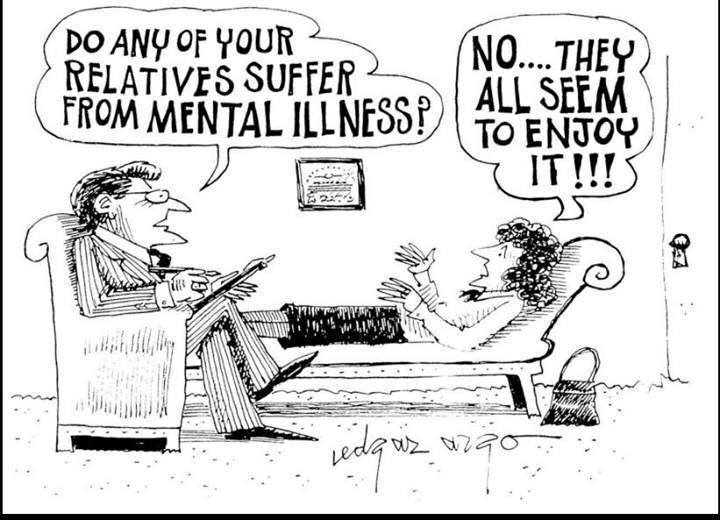 Comic: My family seems to enjoy mental illness! CBC Doc Zone had an episode on the relation between angry kids and stressed out parents. I would embed it, so go here to watch it. below is the trailer.